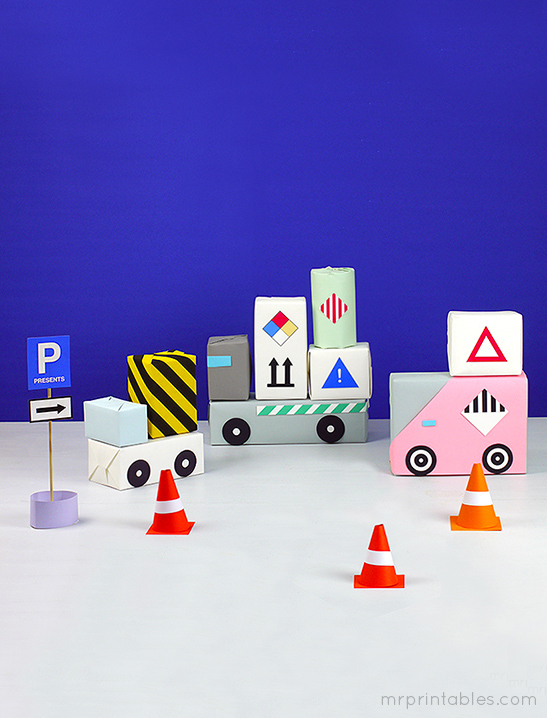 Here’s another simple DIY gift wrap idea with printable decals that kids who are mad about cars and trucks will love. 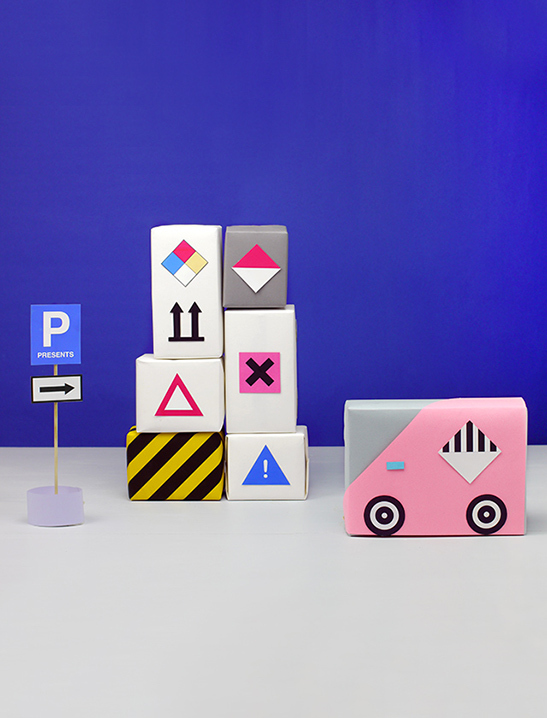 We love the graphical signs and symbols you see on shipping crates and big trucks and thought it would be fun to stack up the presents to look like truck loads of presents being delivered to you. They’ll make vibrant Christmas gift wrap or as favors for a cool car party! There are templates for the wheels you can print, although they are very easy to make from simple black paper. So just make some that suit your gift sizes. There are also various graphical signs you can print and glue on to many individual boxes. If the gift is large, layout multiple signs together on it, or create your own large signs based on this idea. If you have various sized gift boxes, use the largest one as the base of the car and glue the wheels on to the sides. Place a smaller box on one end to create a truck. You could even just find a tiny additional gift for this purpose too. The rest of the gift boxes can be piled up as high as you like on the back of the truck! A single large box can turn into a car too. Just a pair of wheels does the trick and you can decorate the car body with more details. Some of these are harzard signs (or partially based on them), which we like the look of and kids think it’s funny to have ‘dangerous’ warnings for their gifts. However if you don’t want to use hazard type signs, try simple ‘this way up’ symbols or stencilled texts, ‘Heavy load’ etc. For cute birthday gift wrap you could stencil on name logos onto the boxes and trucks. The template also includes a ‘P’ sign with ‘presents’ instead of ‘parking’. ^ ^ So you can display this sign with an arrow nearby. 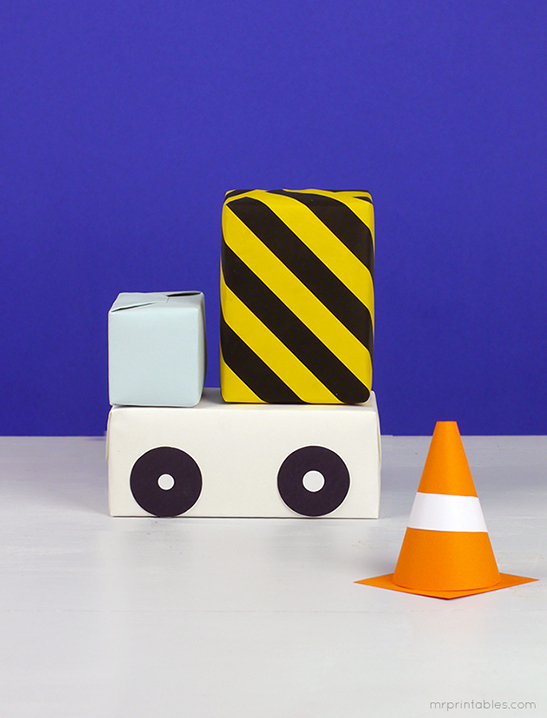 If you really want to go for it, try making tiny traffic cones. 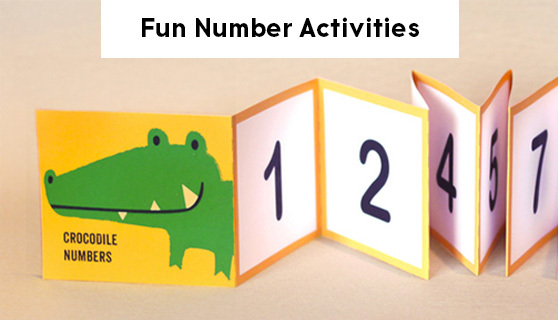 Make some paper cones with red or orange paper, wrap white strips around and add a square at the bottom. There are also two templates to create the yellow and black striped wrapping paper. One in full color and one in only black so you can print on yellow paper if you have some. Lots of crates waiting to be delivered! You could create a warning sign saying ‘No entry until 25th (or a birthday date)’ along with some traffic cones and black and yellow stripes.